A few days ago, I shared a post about the delicious restorative, the Corpse Reviver #2 as I started my vacation. That same night, after finishing off that cocktail and going to make another, I discovered I had used up my last lemon. Now, what was I to do? You can’t very well make a Corpse Reviver #2 without fresh lemon juice, as I covered in the last post. And then I found my answer, right there in front of me, minus the #2. The Corpse Reviver, or Corpse Reviver #1 to some, is another entry in the family of curative cocktails like its more popular secondary namesake. While the #2 is a light, citrus-centric, and cleanly bracing drink, this is a completely different animal. Brandy based, with a bit extra brandy, and the clean nearly astringent notes of Lilet Blanc and absinthe replaced with the warm and rich notes of sweet vermouth, the Corpse Reviver strikes me as more of an after dinner drink, or a tonic to be fed to someone pulled from icy water, than a morning pick me up. Warm where the #2 is cool, rich and deep where the #2 is light and refreshing, the Corpse Reviver is still a subtle drink in its own way, and the three ingredients play together just as nicely. Unlike the #2 where we shake the ingredients to combine, thus chilling the drink more, stir the combined ingredients for a moment, just enough to drop the temperature and mix them fully. Strain into a cocktail glass that you’ve chilled previously in the freezer or by filling with ice before prepping your drink, dumping the ice prior to pouring the drink. In this instance, I used my go to cognac, Decourtet VS, which is a marvelous cognac and at a price that won’t make you cringe. I used Laird’s applejack as it’s what I had on hand, though using calvados will impart slightly stronger apple notes with a twinge less of sweetness, in my opinion. 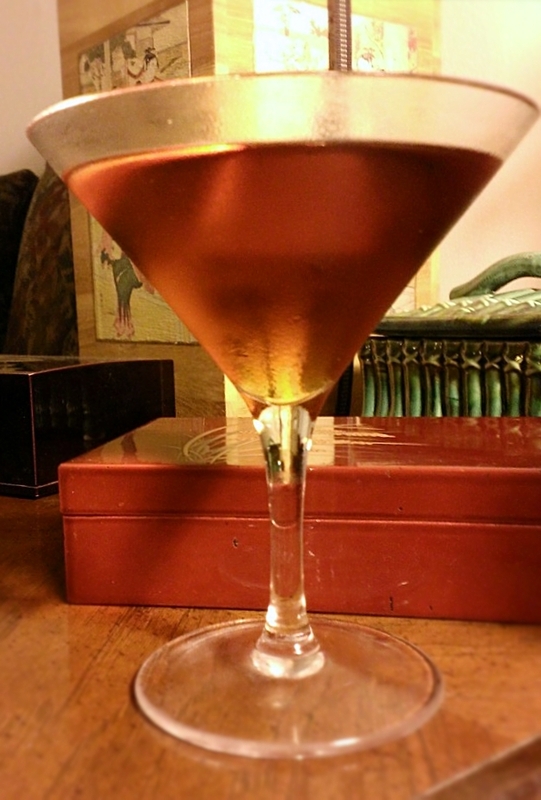 For the vermouth, any sweet Italian vermouth will suffice, though I used my personal favorite, Carpano Antica Formula, using the original recipe created by its namesake, the late 18th century distiller Antonio Benedetto Carpano, the father of the now familiar vermouth. Carpano Antica is an amazingly rich drink, and well worth picking up for using in cocktails or drinking on its own as an apéritif (the good people at Post Prohibition wrote a wonderful piece about this complex, bittersweet vermouth), and it’s the perfect choice for this recipe, if I may so. While sharing a name with the Corpse Reviver #2, this is a completely different drink, but just as pleasing in its own way, and well worth a try if you’re a fan of brandy, Manhattans, or simply looking for something warming and comforting.